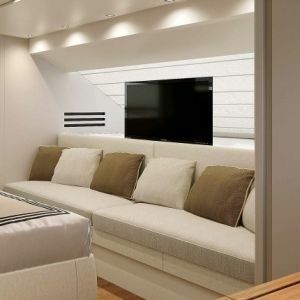 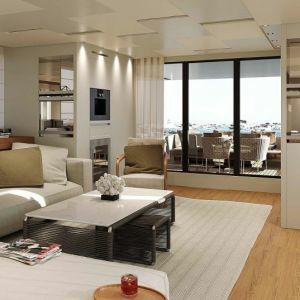 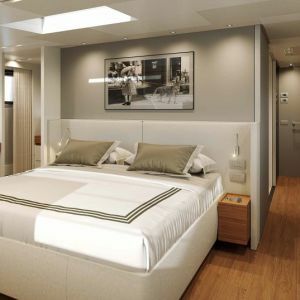 Streamlined, elegant and contemporary at the same time, she is bound to impress all who step on-board! 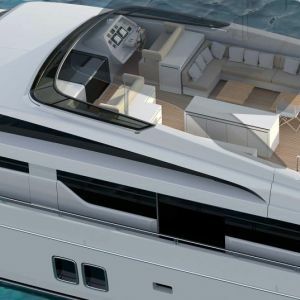 Scheduled for delivery in May 2019, the sleek M/Y SALT will be spearheaded by her experienced captain Jaques Cottin, and will offer a flexible layout to accommodate up to 11 guests in 3 double and 2 convertible cabins. 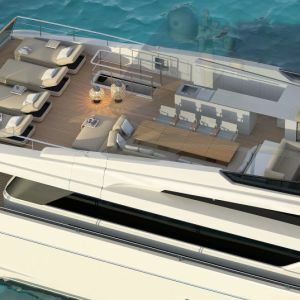 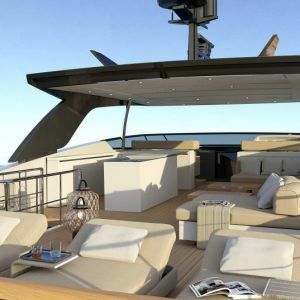 Sporting a vast array of water toys, which will include a waverunner, Flyride, 2 Seabobs and e-bikes, there will be something for everyone to enjoy and with a cruising speed of 25 knots, SALT will provide a luxurious haven to experience the beauty and thrills of the Mediterranean in complete comfort. 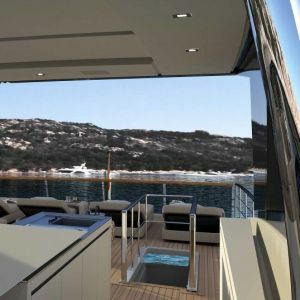 M/Y SALT - Images are renderings not original photos of the actual vessel.